Google Chrome is the best browser regarding performance, design and speed but it eats hell lot of ram and sometimes it becomes irritating when your browser starts using too much ram. There are methods to reduce high ram usage and memory leaks. You can try these methods to fix memory leaks or give a try to these extensions to reduce high memory usage in Google Chrome. OneTab :- One Tab is no doubt a great browser extension and it is very much helpful for people who love opening multiple tabs and don't work on them. One Tab sums up all tabs into one tab from where they can be seen and opened again. Open tab monitors tab and save them according to your recent sessions, this is very much helpful when you need to leave your work all of sudden, but you don't want to leave all tabs opened. Just click on one tab and it will save all of your opened tabs and you can open them again later. One tab can save lots of memory when you have more than five tabs open then just run One tab and use tabs separately. The Great Suspender :- The Great Suspender is similar to One Tab, but it does not sum up all tabs. This extension just suspends the opened tabs at their place. Unlike the One tab, it does not merge all tabs into one. When you open the appropriate tab, it gets refreshed, and you are ready to work. Some other extensions like Tab Hibernation, Too Many Tabs and Tab Me Free are useful as well when it comes to reducing Chrome's ram usage by suspending opened tabs. Google Chrome features its task manager to find and kill the process of extension or apps which are the unnecessary using memory of your machine and increase ram usage of Chrome browser. You can open task manager with a shortcut key (ESC+Shift) to find and kill high usage processes of apps and extension that you are not using in real time. Check a few more things like you are using update version of Google Chrome and you are not affected with any malware etc. 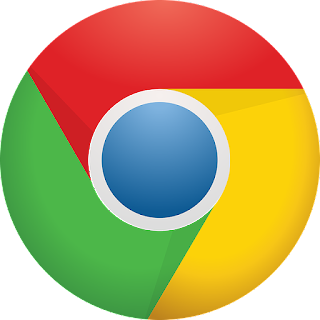 You can find this article useful to find if your installed Chrome is leaking memory, also don't forget to check some other good tips related to Google Chrome here.